Vivacious urban centers, historic cathedrals, crystal-clear waters, and bumpin’ beaches are just a few of the many reasons that droves of tourists from across the globe flock to Spain each year. From Seville to Santander, here is the definitive travel guide for what to do, eat, and see on your next trip to España. 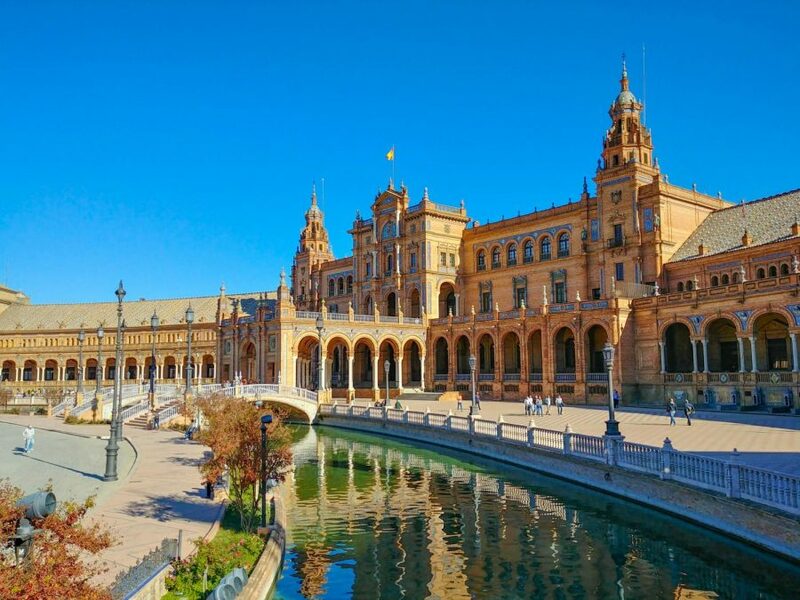 Spain is a country marked by its diverse culture and distinct heritage, both of which are on display throughout the countries myriad of cities and towns. Among the many places to benefit from the country’s rich history, the beautiful town of Salamanca stands out as being home to the world’s third oldest university. Salamanca was originally settled by the Romans, and the bridge they built over the River Tormes is still in use today. Far from Spain’s bustling metropolitan areas, Salamanca is still accessible by train, but it is much less touristy, meaning the town has remained authentically Spanish. Fraser participated in the school’s exchange trip to Spain, as did I. During the trip, we visited several of Spain’s most culturally significant cities, yet Salamanca stood out for its baroque architecture and stunning main square, or Plaza Mayor. I had the chance to return to Spain this summer, participating in a program in which I took classes at the University of Salamanca and stayed with a local family. During my time there, I came to know the city very well, and I had the opportunity to take classes in the historic buildings on campus. 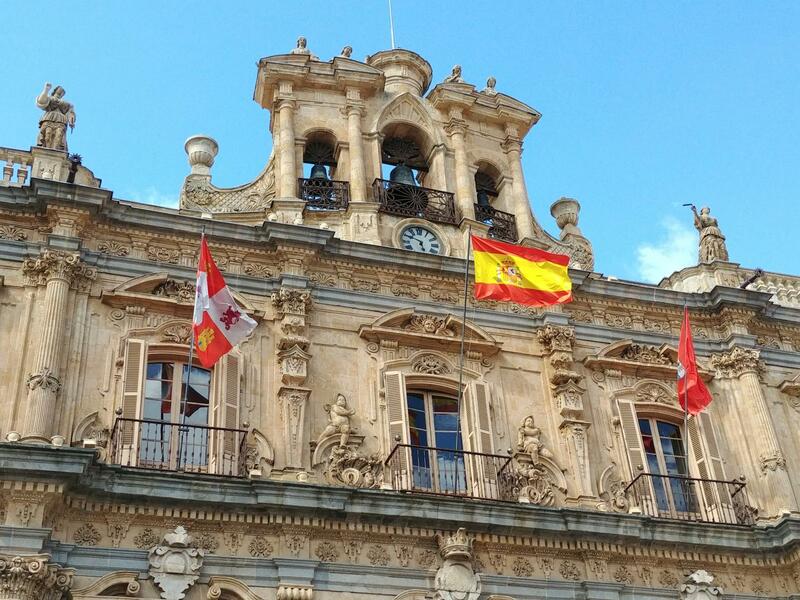 The town has an active nightlife and culinary scene, and no trip to Spain is complete without it. My local recommendations include eating at La Jamonería de Carmen, which has great Iberian ham as well as churros with chocolate, and visiting the two stunning Cathedrals of Salamanca. While Salamanca offers historic charm, Madrid entices visitors with its cosmopolitan sophistication. The country’s capital is situated in the center of the country and is the perfect place to fly into for most Spanish vacation. Moreover, the city, while enormous, is easily navigable on foot or public transit, and there is an infinite number of things to do. Fraser and I lived with host families in Madrid for two weeks during the exchange trip and had the opportunity to see the city from a local’s point of view. Some must-do attractions include a visit to El Prado, one of the foremost art museums in the world; a stroll around La Puerta del Sol, the plaza in the heart of the Madrid where the best shopping is; and a tour of El Palacio Real, the former Spanish royal residence and largest palace in Europe. Sophomore Allison Santa Cruz traveled to Spain for a month this summer to participate in a Spanish language program in Madrid. “Walking around the city and going to little restaurants along the way as well as hanging out with people from Spain and talking to locals were my favorite things to do,” Santa Cruz said. Cruz visited Toledo, Salamanca, and Castellón de la Plana in addition to Madrid, giving her the chance to use her Spanish skills in meaningful ways. Finally, for a beach excursion, I recommend Santander, a city on the northern coast of Spain, which is much less crowded than the beaches that populate Spain’s southern coast. Contrary to popular belief, Spanish food does not consist of tacos nor burritos, as dishes such as these come from Latin America. Traditional Spanish foods include Iberian ham, tortilla Española, and paella. Learning some Spanish goes a long way in Spain, as, outside of Madrid and Barcelona, English is not as widely spoken. Another important thing to note is that Spain uses the Euro and the metric system, so neither US dollars nor miles per hour will be useful in Europe.